I’m super excited for spring time. Last year we decided not to grow any vegetables because we knew we’d be moving, but now that we’re all settled, this year we’re all in. As a child, I remember helping in my grandmother’s garden and after all of our hard work, we’d use our fresh veggies in some of the best southern dishes. Sadly, I don’t remember a lot of my grandmother’s recipes, but with the help of Martina McBride’s cookbook, “Martina’s Kitchen Mix: My Recipe Playlist for Real Life,” I can make my way back to my roots, fresh homegrown veggies and all. 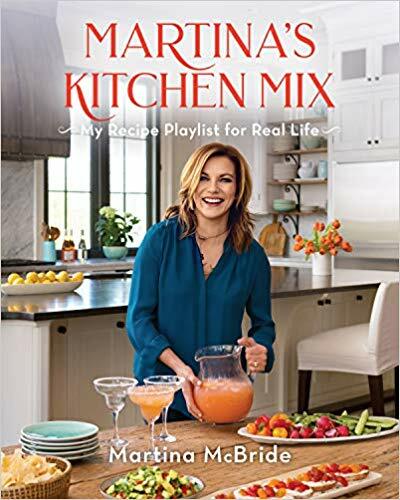 Martina McBride’s cookbook, “Martina’s Kitchen Mix: My Recipe Playlist for Real Life,” isn’t necessarily a southern cookbook, but it’s filled with lots of real recipes, using real, fresh foods, for everyday real life. I find it encouraging to help me find my own flavors and get back to my roots. You see, all of the recipes I made as a little girl in my grandma’s kitchen, I don’t remember. Of course I remember the fun we had in the garden and the kitchen, and the love we put into cooking, but the actual recipes have completely escaped me. And to be quite honest, a lot of them were time consuming and time just isn’t in my favor these days. I’m not letting that stop me, though. As Martina mentions in her cookbook, she’s now at a point where she’s comfortable creating her own recipes, tweaking recipes she’s found and wants to try, and fixing recipes that didn’t go over well the first time. 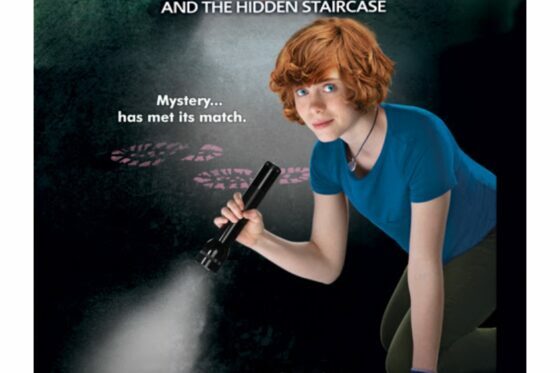 This sounds just like where I am in my kitchen. I may not have my grandma’s recipes, but there’s no reason I can’t try to get back to my roots by creating my own. Recipe after recipe, a little trial and error, and experiencing new flavors over the years, has given me the confidence I need to try my hand at mixing and pairing flavors I think will taste great together. My grandma used to do this too. Give her a handful of ingredients and with the right seasonings she could make the tastiest dish you’ve ever had. Me? You could say I’ve grown quite a bit from my college years, when I wouldn’t even season meat with the simplest of salt and pepper before cooking it. Vegetables? Fresh wasn’t even on my radar. Frozen and canned was just quicker and sometimes more affordable. Just last week I made a Broccoli & Cauliflower Salad (from Martina’s cookbook) with some fresh produce from the store (my garden has some growing to do in the coming months). 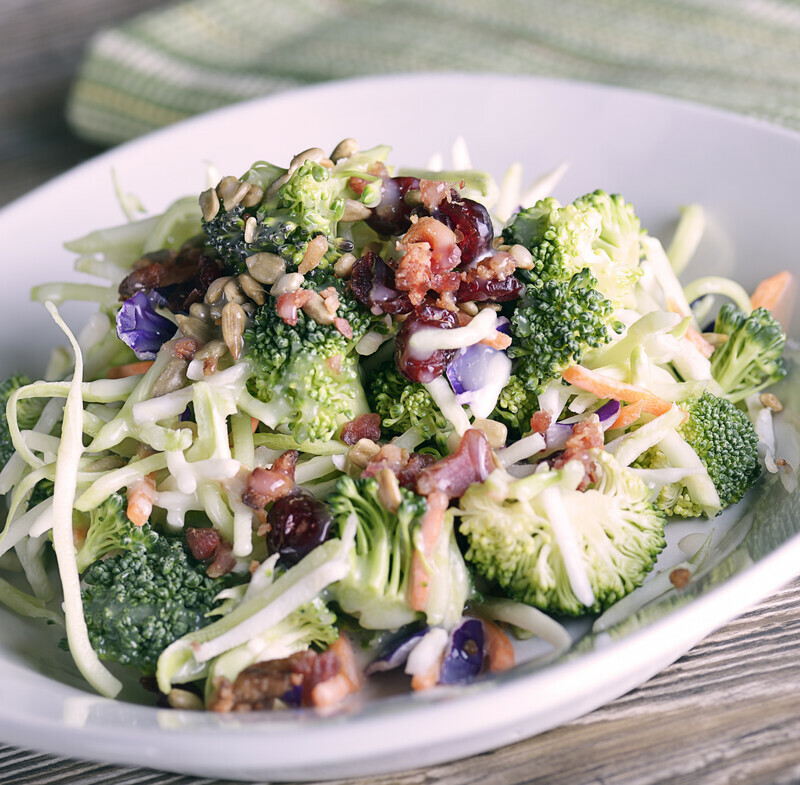 I love snacking on these fresh veggies alone, so I knew I’d love this salad and it didn’t disappoint. 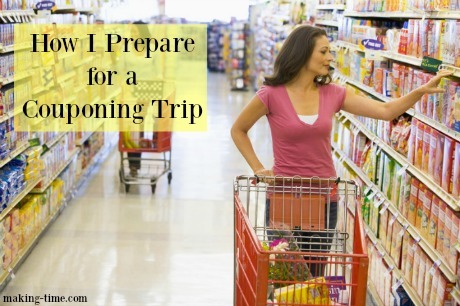 It fits with my everyday life and takes no time at all to pull together. And now I can take some of the same ingredients and tweak the flavors a little to create my own remix on the dish. So while I may not have the recipes my grandma used to make, I do have new recipes to try that still use the same homegrown quality and freshness that I enjoyed as a kid. 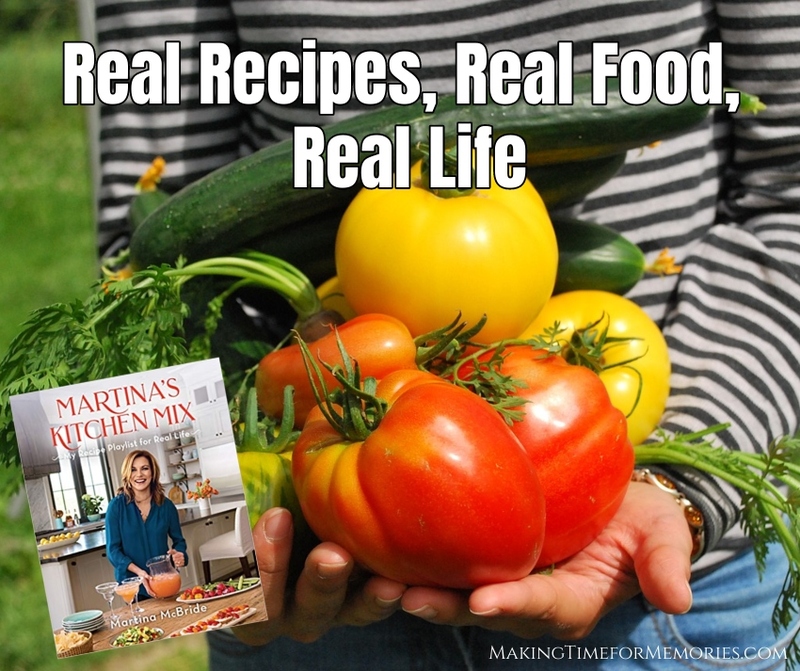 When my garden is in full bloom and the veggies are abundant, I can’t wait to try more of Martina’s fresh recipes, while also creating my own dishes. Maybe one day when I have grandchildren (hopefully a long time from now), they’ll have the same fun in the kitchen with me, as I did with my grandma – from garden, to kitchen, to table. Real recipes, real food, real life. What are some of your favorite fresh food recipes? 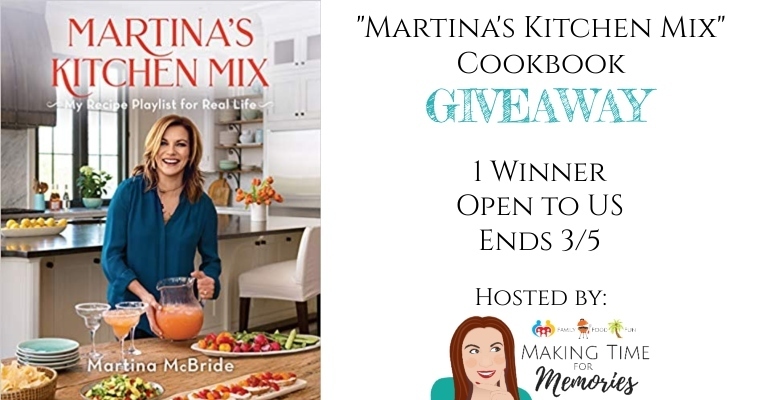 One lucky Making Time for Memories reader will win a copy of “Martina’s Kitchen Mix: My Recipe Playlist for Real Life!” Good luck! This giveaway is open to residents of the US, ages 18+ and ends on March 5, 2019 at 11:59 pm est. 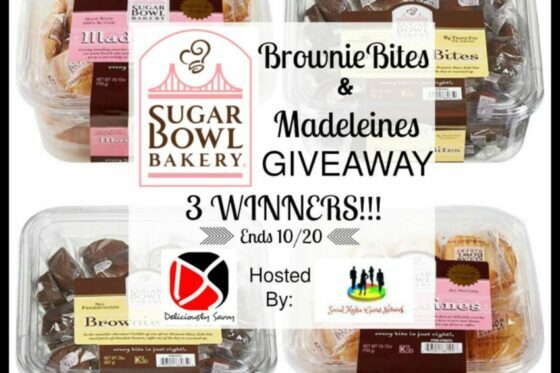 Random winner will be notified via email and must respond within 24 hours or prize will be forfeited. Sponsor is responsible for prize fulfillment.